We recently flagged up 15 proven techniques to help you increase average order value, which is one of the fastest ways of growing ecommerce revenue. Many of Littledata’s customers use the Shopify platform, so I thought I’d take a look in the app store to see what’s available to help implement some of these techniques. I found dozens of great apps that can be used to quickly test some of our ideas. In doing so you might just increase conversion rates and other key metrics too. Below are 15 of the best ones – click on the screenshots to check them out in more detail. Many of these apps are paid-for, though normally offer free trials, and in any case the monthly cost is low. You should make back your investment and then some. I’ve focused on the apps that have high review scores. By installing these apps and launching Littledata’s optimisation missions you’ll be able to quickly improve ecommerce performance. Do let us know how you get on! CartHook’s app allows you to create a customisable one-page checkout, which helps to simplify the user experience and can improve conversion rates. It also allows you to upsell, by showing customers relevant products after they have completed their initial purchase. CartHook also provides you with the option of showing customers a final thank you page. You can also use the app to build custom funnels for each product. Neat. 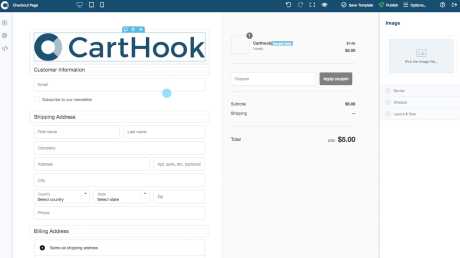 Littledata integrates seamlessly with CartHook’s one page checkout so you can track every part of the ecommerce sales flow. This app allows you to show customers post-purchase surveys, to help gain valuable insight into what made them buy. You can ask customers all kinds of questions. 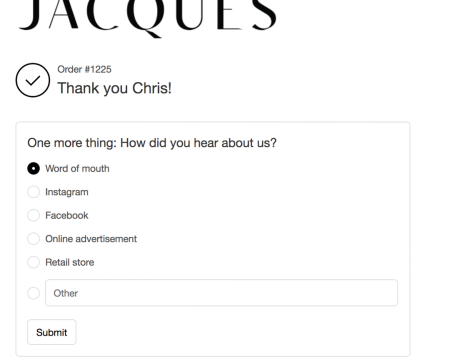 The default is ‘How did you hear about us?’, but other questions can help you profile your customers, to gather feedback, testimonials, reviews, or to segment email lists. Use the survey data to refine your marketing efforts, in order to attract the right kind of buyers. 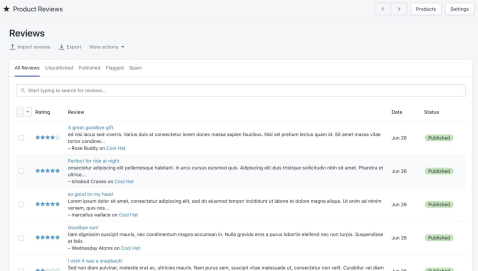 Plus, I’ve heard through the grapevine that a Littledata – Enquire integration is coming soon. Stay tuned! As you might have already gathered, this is a comprehensive cross-selling app. Persuading customers to add more products to their cart is a proven way of increasing average order value. 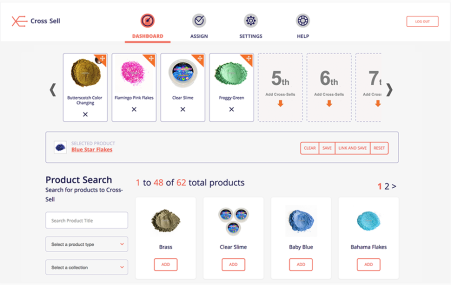 With Cross Sell, you simply hand-pick the products you want to attempt to cross-sell with each item. 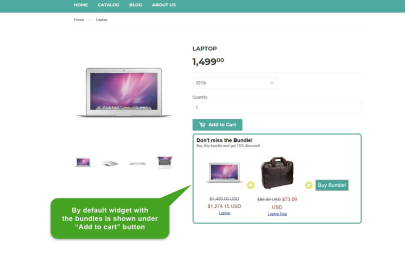 It comes with the “Smart Cart” feature which recommends cross-sells based on the last product that the user added to their cart. The app will also cover you when the ones you select are out of stock, by showing default products. Here’s another app that does what it says on the tin. Use it to create product bundles. Bundling reduces cognitive load and can be incredibly persuasive, especially when discounts are on offer. This app allows you to package up related products so that customers can buy them with one click. You can create unlimited bundles with the same product, to test different ideas. Discounts can be applied as a set price or a percentage (we advise that you do both, but definitely the former). This is a widely used countdown app, which has been very well rated. 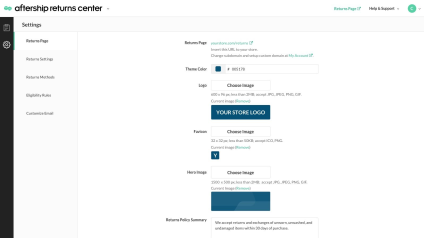 It lets you choose from a wide range of themes to suit your store. The app is free, lightweight and installs very quickly. 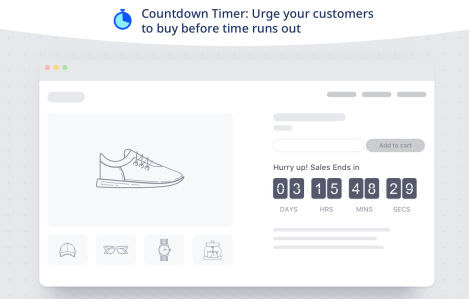 Features include a classic countdown timer, which puts pressure on the shopper to purchase before the clock hits zero. It also makes use of real-time social proof by show shoppers how many people are viewing items, and how many times something has been sold. This can increase the motivation to buy. Enforcing principles of scarcity can lead to an uplift in conversion rates and AOV. 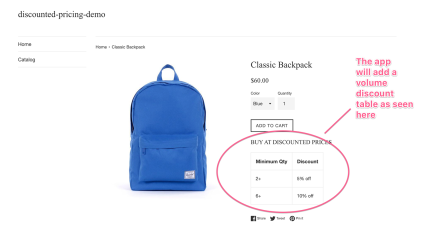 You can generate more sales by offering discounted pricing at different thresholds. This app allows you to offer shoppers volume discounts, which is a proven technique to increase order values. Show shoppers how bulk buying becomes more cost efficient, and they might just add more items to their cart to qualify for the bigger discounts. The app allows these discount tables to be visible on all devices, and is quick to set up. Reduce friction between your shoppers and your store by allowing free returns. This helps to encourage higher spending by creating a ‘risk-free’ purchase experience. With the app, customers are able to submit return requests in a few clicks. 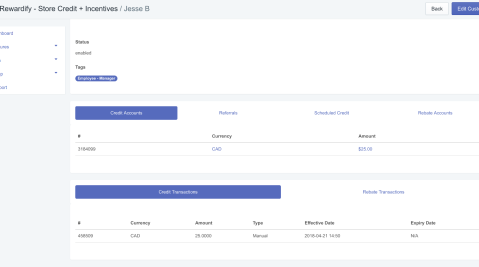 The best thing is that you don’t necessarily need to lose the spend, as you have the option of adding credits to a customer’s account (as well as issuing a refund back to their bank account). 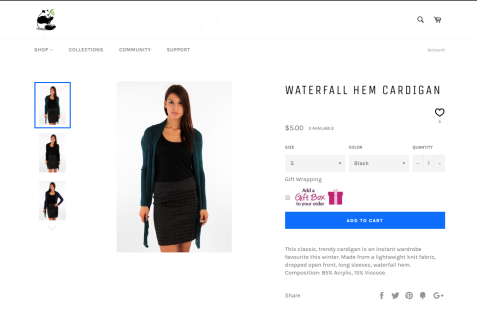 Wishlist Plus allows users to add products to a wishlist without needing to be logged in. It also syncs wishlists across devices. These features help to remove purchase barriers, and when checking out a shopper may be tempted to add products that are sitting in their wishlist, which will increase order value. The app has gained a 4.9 rating on the Shopify App store, and the reviews reference the “excellent customer service” provided by the developers. Rewardify allows you to add credit to your customer’s account when they complete certain tasks such as meeting a minimum spend, selecting a specific shipping option or buying certain items. All great ways to increase AOV. You can use this app to offer deals such as a free $10 gift card with the purchase of a $100 gift card, or selling $100 cards for $85. Show these kinds of offers to the right people at the right time and you might just increase AOV. 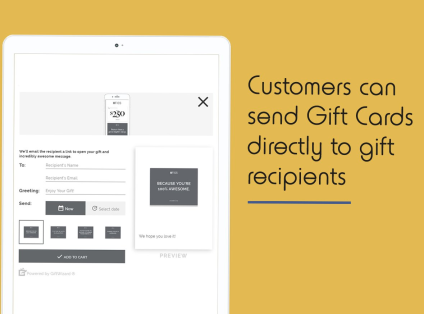 The app also allows you to send gift cards to other people, and to use store credit as an upsell tool. Product Reviews is a simple app that provides a platform for social proof – a key psychological phenomenon to keep in mind when trying to increase AOV. It sends review scores to Google to enhance your listings, and you can also determine which reviews to show and hide. Many shoppers are happy to pay a few extra pounds to have their products gift-wrapped before they arrive. Installing this app allows you to offer that option, and it is one which can definitely increase your AOV. The app allows for extras such as gift messages, and lets you see your best performing gift-wrap styles. Here’s another app that focused on urgency and scarcity to boost conversion rates and average order value. 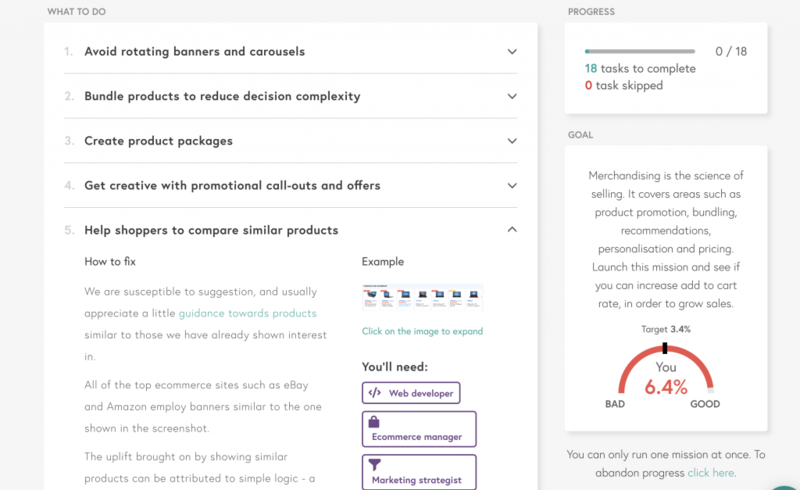 It has plenty of features to help you improve merchandising, calls to action, and highlight social proof, such as low stock warnings and ‘recently sold’ alerts. The app is easy to use and configure, which helps to explain its 4.9 star rating. Use this to promote shipping offers via a bar at the top of the page, which updates as items are added to the cart. It will show customers when they qualify for free shipping. This is excellent for any store that offers free shipping when a minimum order amount has been reached, such as $50. And that’s a proven way to increase AOV. Before optimising your store you must make sure that you have accurate data, in order to measure the results. 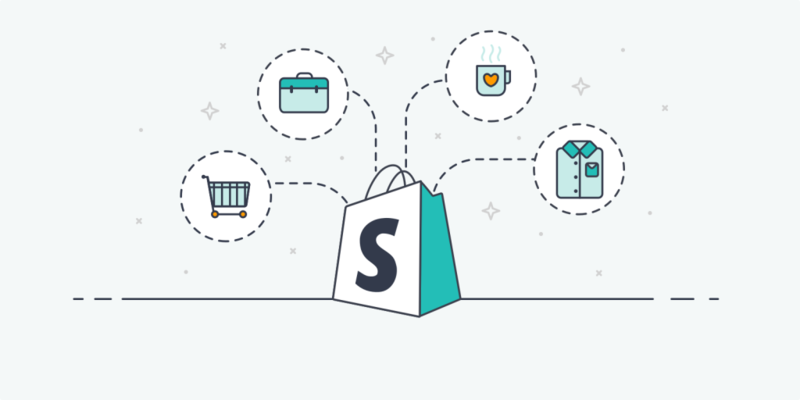 We’ve found that almost nine out of ten Shopify stores have a broken analytics setup, so the chances are that you’ll need to make some tweaks. 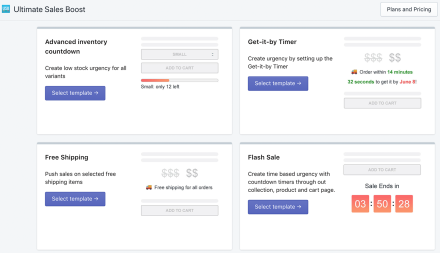 The Littledata Shopify app fixes your tracking automatically. 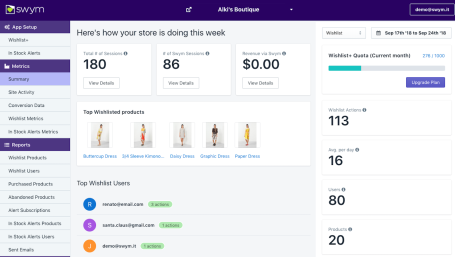 It also provides benchmarks against over 12,000 ecommerce sites, so you can compare your own performance vs your peers, and includes a suite of AI-based reporting. What should you do with all that data? 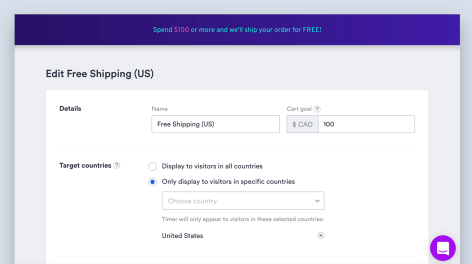 Littledata’s new Missions feature recommends specific ideas to help you improve the crucial ecommerce metrics such as AOV, add to cart rate, product list CTR, checkout completion, and conversion rates. Missions provide step-by-step instructions for proven ways to optimise sales and conversions. Work your way through the missions and get ahead of the pack!